Our next Winter Circus production will take place on Feb. 9 and 10, 2019, at the Goodman Community Center! We will spend fifteen weeks creating and polishing original circus acts: aerial, stilts, physical comedy, theater, juggling, acrobatics and more! We tend to use a collaborative format that allows participants to learn about choreography, creative process and performance skills as they combine ideas with mentorship and guidance from professionals in the field. Proceeds will benefit our Wild Rumpus Circus Scholarship fund! 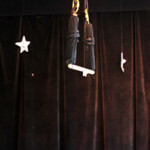 Who: Kids (10 and up) through adults, with prior wild rumpus circus experience (min. 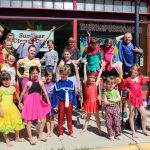 2 weeks of circus camp or two prior weekly class sessions), and consent of directors. When: Sundays, 6-7:30 p.m. Oct. 7-Feb. 3. No rehearsal 11/18, 12/23 or 12/30. Dress rehearsal Friday evening, 2/8, matinee and evening performances 2 and 7 p.m. on 2/9, matinee performance 2 p.m. on 2/10. Participants must be available for all tech/performance call times, and a minimum of twelve (out of fifteen scheduled) rehearsals. Cost: $225. 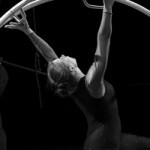 Partial scholarships and work-study positions are available (thanks to past winter circuses!). Please inquire.